The International Hot Rod Association (IHRA) Summit Sportsman Spectacular continues June 8-10 at Dragwy 42 in West Salem, Ohio, with thrilling racing action. The thrilling 20-race series is designed to be affordable for grassroots, bracket-racing competitors who support their local tracks. The IHRA Summit Sportsman Spectacular events feature huge payouts of $10,000-to-win on Moser Engineering Saturday and $5,000-to-win on Sunday including a set of unique bonus opportunities for all current IHRA Summit SuperSeries racers. Cash bonuses are up for grabs for the IHRA Summit SuperSeries member that goes the furthest in eliminations or wins the event. Sunoco Race Fuel, The Official Fuel of the IHRA, will be on site during the event. They will be supplying 110, 112,116, and Methanol race fuel throughout the weekend. Trick Flow Specialties, an official partner of the, will be on hand with their trailer and technical staff to showcase the latest in cylinder head and intake technology to competitors. The national contingency program is also available for all IHRA members who advance to the final two rounds each day. 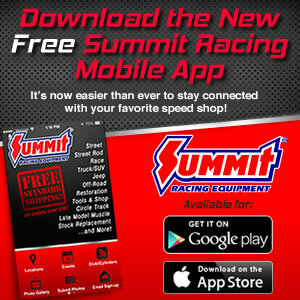 Summit Racing Equipment with headquarters just down the road in Tallmadge, Ohio will now pay Summit Racing gift certificates for the win, runner-up and semifinal positions. The weekend program includes a test & tune, racer appreciation cookout, and Scrubblade golf cart race. In addition, several prizes will be awarded to the best losing package of first through third rounds. IHRA Ironman trophies and large championship checks for event winners will be presented Saturday and Sunday. Runner-up finishers will receive prestigious medals as part of their prize package.